Need a break from printing, laminating, cutting, sorting, organizing and storing your center materials? Looking for a way to bump up the rigor of your students' independent center time while still providing enjoyable, age-appropriate activities? Then these centers might be just what you're looking for! Just print one copy of the picture for that center. Laminate or place in a page protector for durability. Then copy an answer sheet for each student. That’s it! Download the free preview to read more about how you can use them in your classroom. 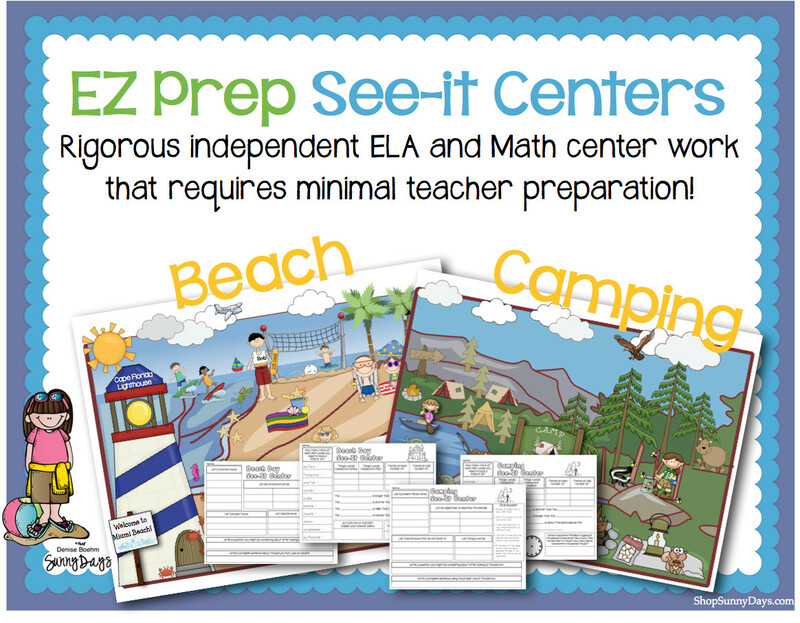 This set includes math and ela centers for both a beach and camping theme with answer keys.